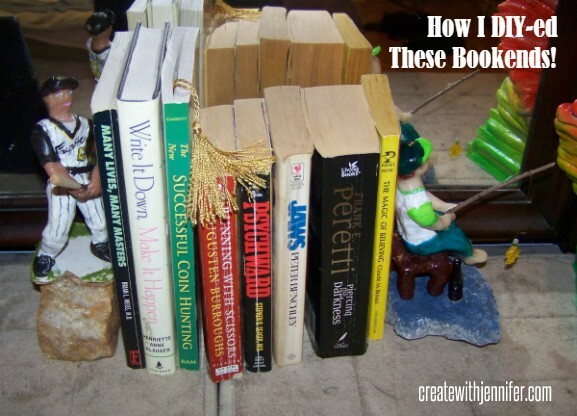 How To Create Bookends: Your Paperbacks Will Be Sitting Pretty! Ever wanted to learn how to create unique bookends for your reading stash, that look so much better than those boring (and ugly, from my perspective) old metal ones you see everywhere? Read on…(no pun intended) but reading is another favorite pastime of mine besides crafting! I was rearranging some stuff in the home not too long ago and came across quite the stash of reading materials. Some I felt were deserving of their own display space. How I Had a Blast Making My Own Bookends! So what about you now? 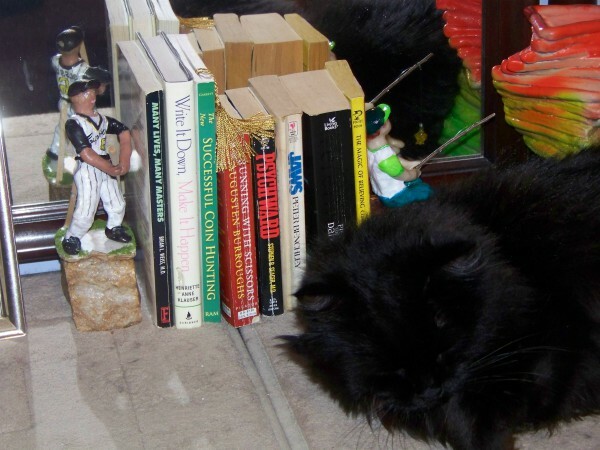 Do you also want to make your own bookends? I had nothing to prop them up, except for a couple of pretty rocks. 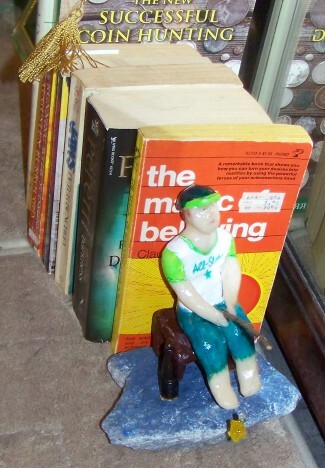 Fortunately I had the solution, I was going to make a pair of homemade bookends. It took some serious thought – what was I going to make them out of?? Well, looking at these two pretty rocks…Bingo! I was going to use the rocks and find some way to turn them into artistic bookends. 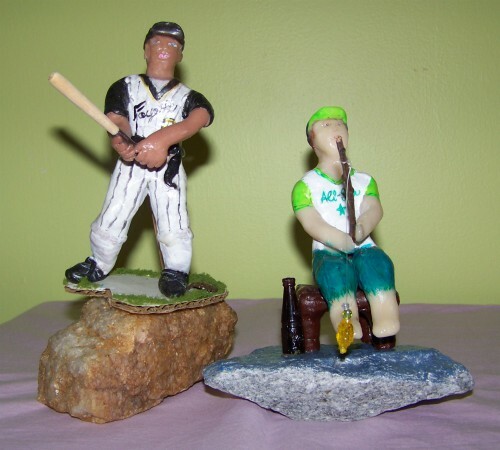 Recently, after doing some serious thought, I made a new figurine similar to the baseball player, but this time of a boy going fishing. Fishing and baseball are 2 all-American pastimes so it works on both levels. Ta-da -bookends! First things first you’re going to need a strong base – Pretty rocks are hard to come by and of course you can’t order them online (duh) I could be wrong about that though. If you love being out in nature and collecting treasures you might just get lucky. Another great option for your bases is 2 pieces of equally sized wood, preferably square; something around 5-6″ around will work great and with a nice thickness. It can be easier to find scraps of wood probably more so than nice rocks. You could do likewise make figurines like these representing your own ideas. They don’t even have to be people, things like ducks, cats, dogs, mermaids, etc., would look great! 1. Step one..(this part is somewhat optional) Consider painting your bookend bases first. it will make them look even better! If you have rocks painting them traditionally may be a little harder because of all the bumps…but you can use spray paint which will be fun and easier. 2. Step two – Assemble your chosen objects. You can group them, if they’re small objects, stagger them, in a unique pattern. Be sure you’re satisfied with the group before you glue it down. As a tip-strive to be complementary with the objects but they don’t have to be identical to each other as you see with mine. Step Three – Glue your objects of choice together; starting with the objects directly on the base.My boy going fishing sculpture is sitting atop a “pier” I also made out of Sculpey. Step Four – Let the object/base set up and cure for a few days. Later on I recommend that you varnish your bookends to preserve your work. Tip: As a special side note…if you happen to be lucky enough to find some beautiful and large rocks -by themselves they may be perfect with no adornments. Just spray paint them a pretty color. I know it’s late in the game but a rock like this is hard to find, much less 2 of them.